. إن Nomads Fat Camel Backpackers Hostel حريص على توفير الراحة للنزلاء، فلا يوفر الموظفون جهداً في تقديم أفضل الخدمات وضمان حسن الاستقبال. تتضمن الميزات الرئيسية في هذا الفندق: خدمة التنظيف يوميًا, خدمة غسيل ذاتية, مكتب الاستقبال على مدار الساعة, تخزين الأمتعة, تأجير سيارات. بالإضافة لهذا,تتضمن كل غرف الضيوف مجموعة واسعة من وسائل الراحة . بعض الغرف توفر حتى غرف لغير المدخنين, اتصال محلي بشبكة الإنترنت (تطبق الرسوم), اتصال لاسلكي بشبكة الإنترنت (تطبق الرسوم), أدوات مطبخ, ثلاجة لإرضاء أكثر الضيوف تطلباً. كما أن مجموعة الخدمات الواسعة الموجودة في الفندق لضمان راحتك تترك لك الكثير من الخيارات لقضاء وقتك أثناء فترة إقامتك. مهما كانت أسبابك لزيارة أوكلاند، فإن Nomads Fat Camel Backpackers Hostel هو الخيار الأفضل لإقامة مثيرة وممتعة. 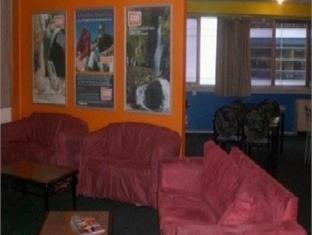 Not the cleanest, well kept of hostels but then it was the cheapest I could find in Auckland so I wasnt expecting much! The idea of a uni type flat was good however the kitchen was very poorly equipped and the hand towels in the bathroom were never filled up. Extra bathrooms were a good idea for when everyone in the flat wants to shower at once! Perfectly fine as a base for a couple of nights exploring the city. I have booked a triple room, bed and pillow were very soft and comfortable, the small kitchen was just enough for simple cook, the toilet was cleaned, you can get almost everything you need with a value price. Free food during evening but due to we did not take beef, so we did not enjoy the free meal. the Friday night market just opposite the hostel, you can get a lot of food there! The staffs were friendly and helpful too! I stayed at here for 2 nights. The place wasn't difficult to find, and it's located inside the CBD area, lots of restaurants shops at there too within 5-10 min walking distance. The staff were very helpful as they will ask us either we need anything or not. The room is clean too. A lot of facilities in the guesthouse, they even have their own bars and guests can have a free meal at between 7 and 8pm although it was just a small portion. Will recommend this place to other friends if they go to Auckland next time. blah! blah! poor at most things. nice mattresses tho. I never leave reviews for hostels, but this one was so bad I feel the need to warn people off. 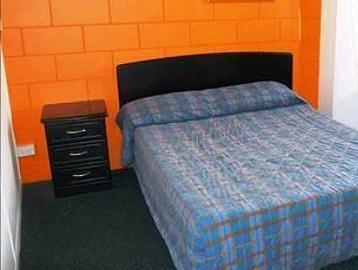 The room I was assigned to STUNK, it was so small that the beds were basically touching so it was extremely stuffy. I then noticed there were bed bugs everywhere, on my bed, and the other beds. There was dirty crockery left around and the toilet bins were over flowing. I didn’t spend longer than 15 mins in this hostel before walking out. Avoid this hostel at all costs - Worst hostel I’ve ever experienced. Good location, good for a 1 or 2 nights stay but the place is not so clean, fuse problems so sometimes no electricity, 1 small fan on the floor in a room without window. Dirty bathrooms. Working people are cool and professional. This hostel has definitely pros and cons. The location is very convenient, you get a free meal (snack size) for dinner and with Agoda's discount can be cheap. On the other hand, dorms are overcrowded and so small, facilities aren't the best and everything looks not very well maintained. It's alright for a short stop though. we have forgotten our Sponge bag in our private double bed room. When we realized it, we contacted the hostel, but it had been stolen or diposed already! Usually there is a free diner and free drink for every guest and every night, but the receptionist did not tell us. We just learned that later by chance, but then it was too late. The hostel is lying in terms of the room square meters they indicate when booking. They declare a 4 bed room would be 40 sqm, but it is actially less than 10 sqm. I was in a single room, that is very good for the price !! It’s de me for a few days for go out around the city!! The wife is good, free snack food everyday with the option of pay 5 NZD for a full dinner and some drink included!! Stayed in female dorm for a while:) Super friendly and helpful staff as well as another travellers made me feel like at home. If you planning to stay for a longer period in female dorm I highly recommend you that option. Don't forget to choose the room with the window ;) Thanks Fat Camel crew to make my stay enjoyable!! You will meet a lot of backpackers or people who came here to work. Probably one of the cheapest places you can find in Auckland. Apartment setting - Each floor has its own apartment and each apartment has its own kitchen and bathroom. WiFi on the first floor common area works the best and it depends on your luck for other floors. The price is very cheap, location is good, walking distance to the famous place, free unlimited wifi, staff is nice, free 1 meal at evening and cheap to upgrade to full meal, BUT the cleanliness really have to be improved, the kitchen is very small and dirty, cooking facilities is very less, inside our apartment 1 bathroom is not working and 1 is very dirty, i not even feel like want to bath in such condition, before entering the room it is very smelly. If you have more budget, you can actually find another better stay. Has kitchens on the floors so making friends are easy and even staffs. Free dinner meal. But some rooms has no windows, WiFi is stuffy in hot time, Some shower water system is not cool. Kitchen air conditioning is not cool too. the staff there are cool, room can be noisy sometimes but everything is fine. You can get affordable meal over in the cafe! located near to city and walking distance to anywhere.. overall it was a good experience. there are kitchenware provided, so you can do your own cooking! very nice hostel with free snack and beer, staff trys to be as helpful as possible, pay for internet at the price for dorm not good. lots of long term oversea working people stay there so not most friendly backpackers atomsopher. Nice meal with small beer $5 in bar area at special time, location is good grocery shopping and some cheap restaurant near by as well is downtown and ferry terminal. Down side is lots of tourist that get work stay there long term so shared areas and friges and such filled as if there house. I stayed 1 night in a female dorm for 4 and it was quite alright. I liked the style of the hostel; the lounge at the first floor, the bar downstairs and the apartment setting for the dorms. The location is good. It's not far from Britomart,shops etc. It took me about 10-15 min to walk to the Intercity bus stop in the morning. The only -and perhaps most important- thing I didn't like was the bed (very thin matrass /not comfy at all) and the walls (very thin and noisy in the room). I would condider staying here again but would prefer something more comfy (which seems to be hard in the city. Cheap room=bad bed).